Spring is officially here. But before you start scheduling outdoor picnics to celebrate that extra hour of sunlight, you may want to add one more item to your spring cleaning list. 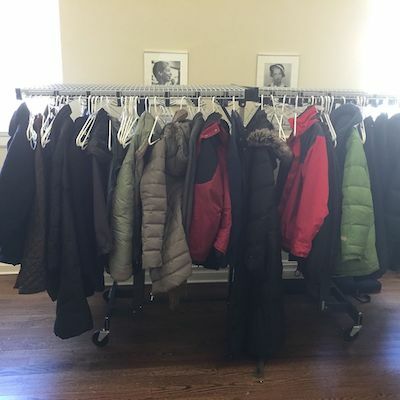 Washing, organizing, and storing your winter coats. Because you don’t want a pile of sweat-stained, smoky, rain-splattered jackets and puffer vests cluttering your closet when you need to make room for shorts and open-toed shoes. 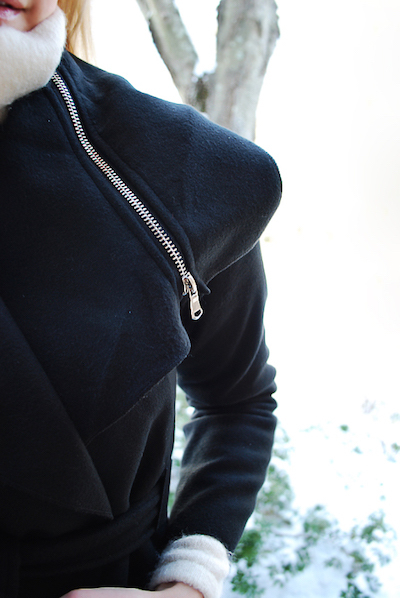 But before you set aside your winter outerwear for the next few seasons (with a MakeSpace pickup, perhaps? ), read on to learn how to properly clean and store your winter coats to keep them in tip-top shape. This is the first rule of thumb when washing anything. 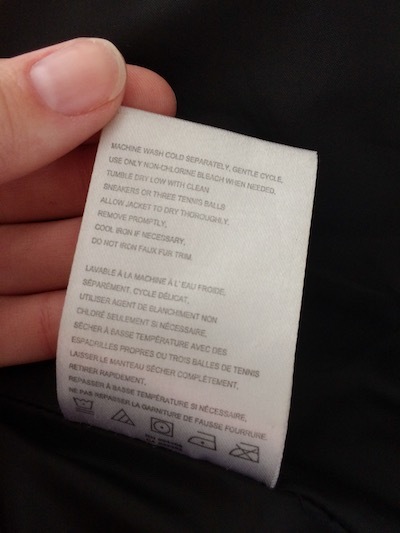 The care tag will usually have all the information you need, like whether or not your coat is machine-washable, which wash cycle and water temperature it needs, special instructions about specific detergents, and how to properly dry it. Needless to say, you should interpret these instructions as rules, not suggestions. Your coat will thank you. If you haven’t washed your winter coat all season, it probably has a few stains from food, dirty snow, puddle splashes, or just serious armpit sweating. Pre-treat these stains with a stain remover or a squirt of Dawn dish soap. Apply the treatment to the stain, then let it soak for 10 minutes before tossing it in the washing machine or scrubbing it with a wet cloth. The metal teeth on zippers can damage other clothes in the washing machine. To minimize the potential of snags and tears, it’s best to zip, fasten, and button everything on your coat before washing it. This also helps your coat retain its shape as it tumbles around in the machine. When certain opposite materials rub together, it can cause pilling, fading, or degradation to your clothes. 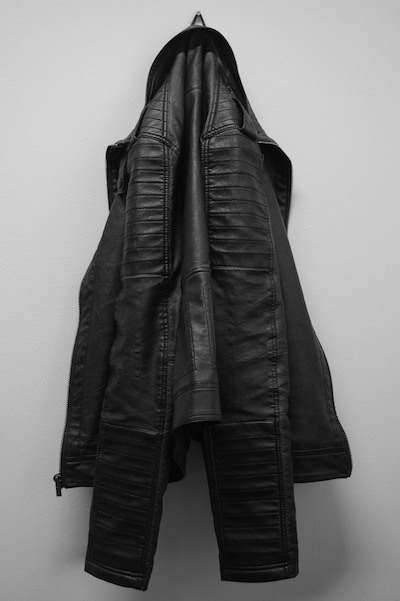 To keep your coats in prime condition, always wash them separately or with clothes of similar materials. 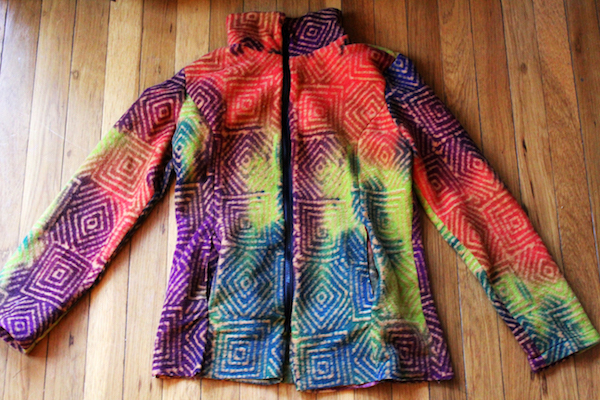 Keep wool with wool, nylon with nylon, fleece with fleece, and so on. Want more smart cleaning tips? Learn how to clean your bedding in five easy steps and how to wash and store your mattress properly. 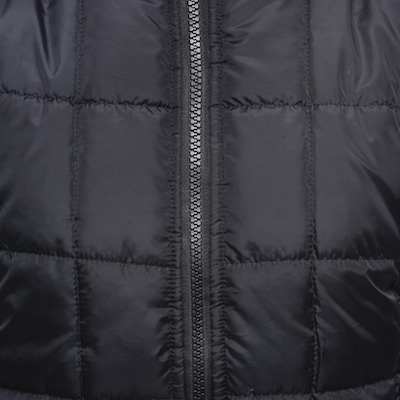 As a general rule, nylon and puffy, down-filled jackets, coats, and vests can all go in the washing machine. Wash them on a gentle cycle with cold water and regular detergent. You can dry your puffer coats in the dryer, too. Besides being way more efficient than air-drying, the dryer is actually better for your these types of garments since it helps evenly re-distribute the down material. Just keep it on a low or gentle cycle. To help fluff up your coats, add a couple wool dryer balls to your load. Dryer balls are an easy, eco-friendly alternative to fabric softeners and dryer sheets — they soften and fluff your clothes, reduce wrinkling, and speed up the drying process. If you’re in a pinch, clean tennis balls are also great fluffing tools. Regular detergents, hot water, and normal washing machine cycles can all cause the fibers in wool to break down or shrink. That’s why it’s crucial to be extra gentle with your fancy wool coat. You can either hand-wash it in a tub with cold water and baby shampoo, or put it in the washing machine on a delicate cycle. If you do this, make sure you use cold water and a detergent specifically designed for dealing with wool products. To dry it, lay your coat flat and use your hands to gently reshape the shoulders and arms as it dries. 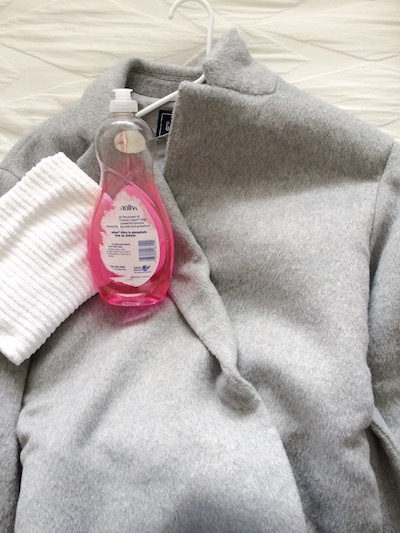 Your fleece will get linty and pilled — and may even become less water-resistant — if you wash it with materials like cotton, so be sure to keep it separate from your other clothes. Hang it up to air-dry. Don’t even attempt to wash your fur coats, leather jackets, or suede trenches at home. Take them to your local dry cleaners for a thorough, high-quality cleaning. Coats made of natural materials like leather, suede, wool, and down need a little room to breathe. 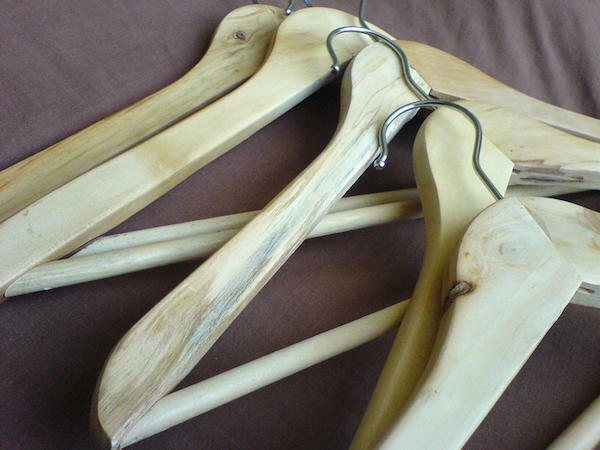 Hang them on sturdy wooden hangers so they can retain their shape and stay wrinkle-free. If you want to go the extra mile, cover your coats in fabric garment bags to protect them from dust and mildew. Pro Tip: Before you hang your coats, you may want to get organized. 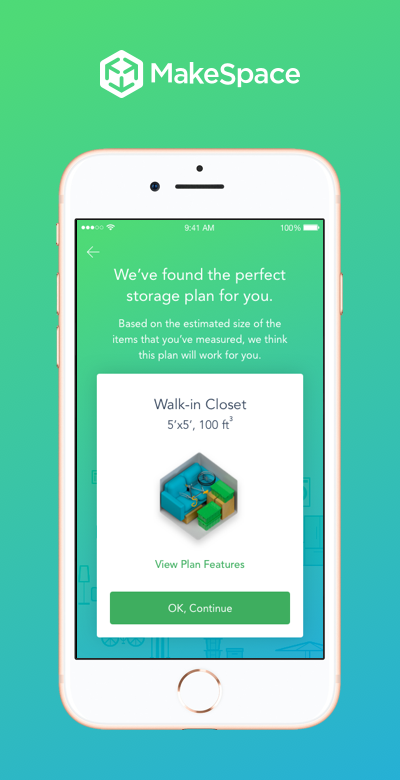 Here’s how to easily organize everything in your closet (for cheap). 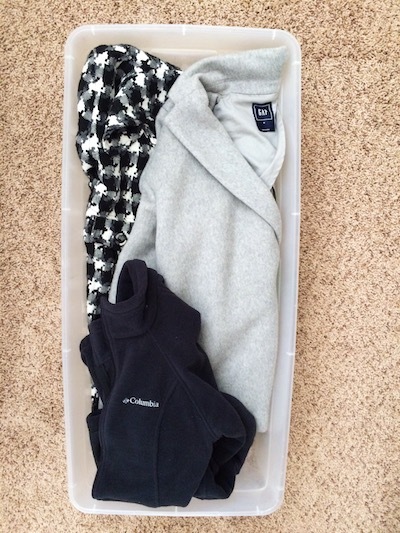 To save hanging space, store your fleece and nylon coats in plastic boxes. 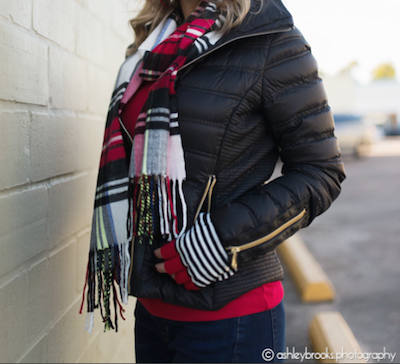 Gently fold and stack your coats so they don’t get misshapen. If you have a pile of puffer vests and jackets made from polyfill (as opposed to down feathers), you can use vacuum-sealed plastic bags to squish them down to half their size and save double the closet space. To avoid moisture build-up, mold, and damage from sunlight, store your coats someplace clean, cool, dry, and dark. Aim for a spot that hovers around 65 degrees Fahrenheit. If your closet or entryway space is maxed out, slide your storage box below your bed or place it on the top shelf of your linen closet. Want more clever tips for storing your winter necessities? We’ve got you covered: learn how to store your skis off-season, how to store your snowboards and snowboarding gear, and how to store your shoes, boots, and sneakers. 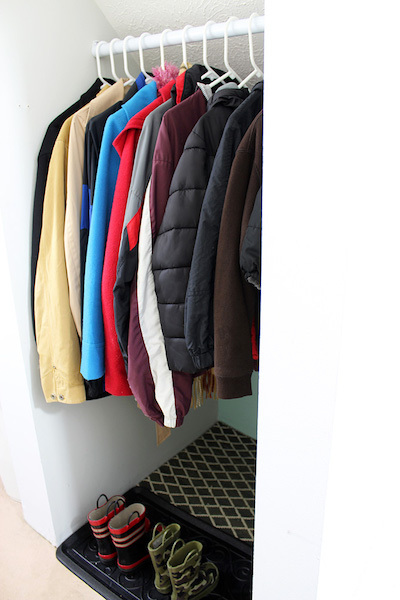 If your apartment is short on space, use MakeSpace to safely store your winter jackets and coats.